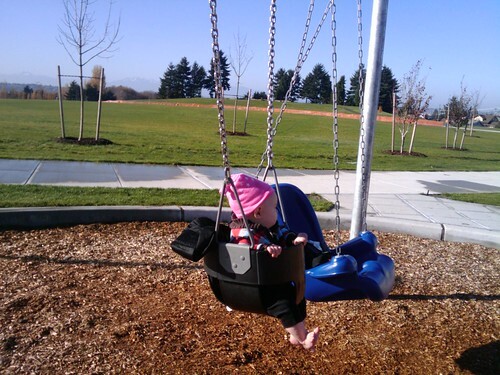 Jefferson Park is finally open, and we had some nice weather to enjoy it. Here are some photos from the BHB Photo Pool on Flickr, or otherwise submitted by BHB readers or staff. Swinging barefoot---in November! Photo by Melissa Jonas. 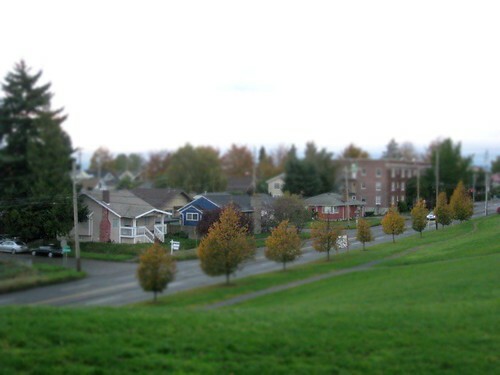 This tilt-shift effect photo makes these houses viewed from the park look like miniatures. Photo by Joel Lee. 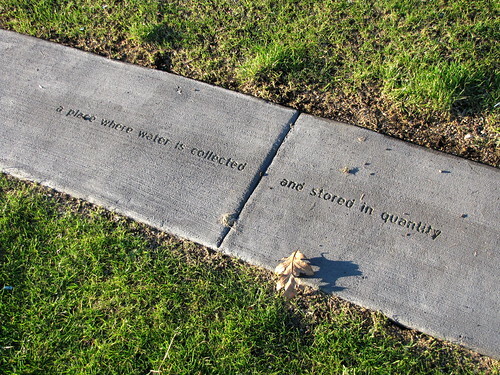 "A place where water is collected and stored in quantity." From the large “Drawing the Land” artwork by Elizabeth Conner. Photo by Wendi. 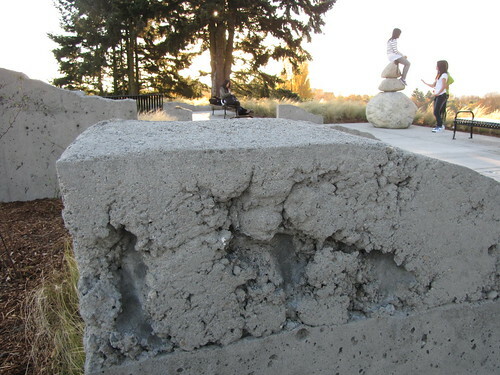 Large concrete pieces and boulders punctuate the viewpoint site in the NW corner of the park. Photo by Wendi. 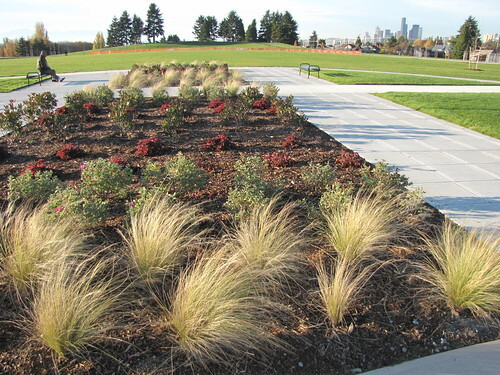 A look at the landscaping. Beyond it is the sports field area over one of the old reservoirs, and beyond that the amphitheatre and viewpoint. Note the skyline view even from here. Photo by Wendi. 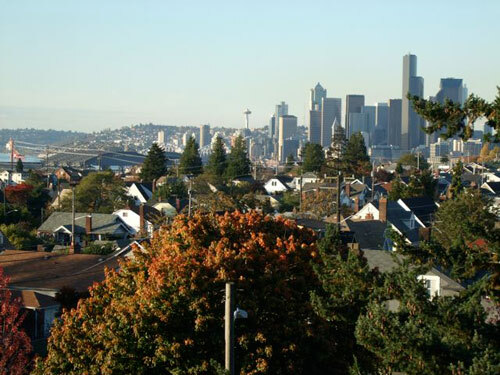 A view of downtown from the viewpoint in the northwest corner of the park. Photo by David Gackenbach. 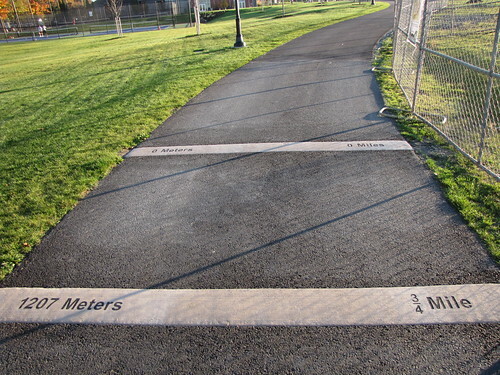 Distances along the park path are marked. It's a 3/4 mile walk. Photo by Wendi. What a fantastic addition to the neighborhood. 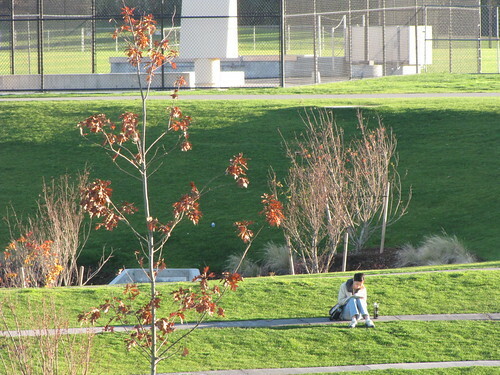 I have been watching them construct the park for what seems like forever. Glad it is finally done.